I do love historical fiction, all things British, court intrigue and Philippa Gregory's novels. So, I know The White Queen was a must-read for me and I wasn't disappointed. In Book One of The Cousins' War Series, Philippa Gregory presents the first of a new series set amid the deadly feuds of England known as the Wars of the Roses. Brother turns on brother to win the ultimate prize, the throne of England, in this dazzling account of the wars of the Plantagenets. They are the claimants and kings who ruled England before the Tudors, and now Philippa Gregory brings them to life through the dramatic and intimate stories of the secret players: the indomitable women, starting with Elizabeth Woodville, the White Queen. The White Queen tells the story of a woman of extraordinary beauty and ambition who, catching the eye of the newly crowned boy king, marries him in secret and ascends to royalty. From her uniquely qualified perspective, Philippa Gregory explores this most famous unsolved mystery of English history, informed by impeccable research and framed by her inimitable storytelling skills. I recently was obsessed with tracing my genealogy and discovered I am a direct descendant of Edward III of the Plantagenet royal line of England. Woohoo! I then discovered that just about anyone with two drops of English blood in them is a direct descendant of Edward III of the Plantagenet royal line. Boo... I withdrew my claim to the throne posthaste. 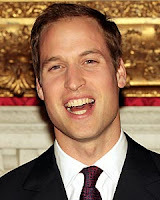 This is Prince William laughing in my usurper face! 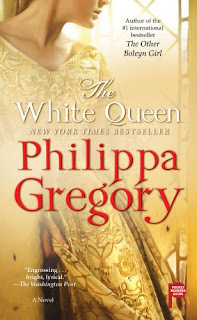 Any-whoo... my family tree project did start a curiosity in me about old royal lines and Philippa Gregory was just the person to turn to give me my fix! The White Queen is the first book of her Cousins' War Series. Reading The White Queen and other novels like it is just about as close as I would ever want to get to Ye England of Olde. It is a world where no woman, no matter how powerful, has a say in her future or the future of her sons and daughters. Not to mention icky diseases like the plague and smallpox. Give me a post-penicillin world any day. No throne for you baby girl...well, until we run out of baby boys. 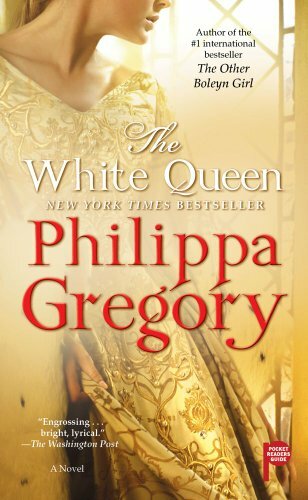 ﻿ The White Queen was absolutely a page-turner toward the end and I would recommend this book to anyone (as well as Gregory's other novels thus far) whether you're a historical fiction fan or not. Gregory adds enough historical detail to immerse you in the world of the pre-Tudor Plantagenets, but not so much that you feel like you are back in English History 101. Takes you back in time faster than a trip to Ren Fest! @ Lenmeo - I love it too and actually just got to go this past weekend with my cousins in New York! 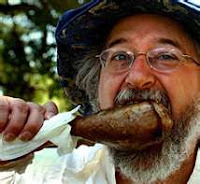 @Frugal - Glad you checked out my blog. I returned the favor and love your site!